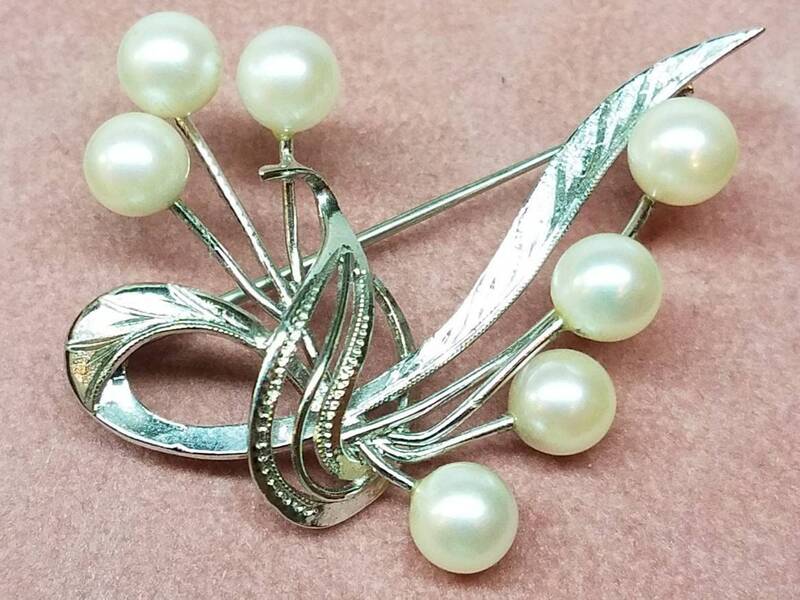 This vintage brooch is sterling silver with natural pearls. The clasp is a working safety clasp. 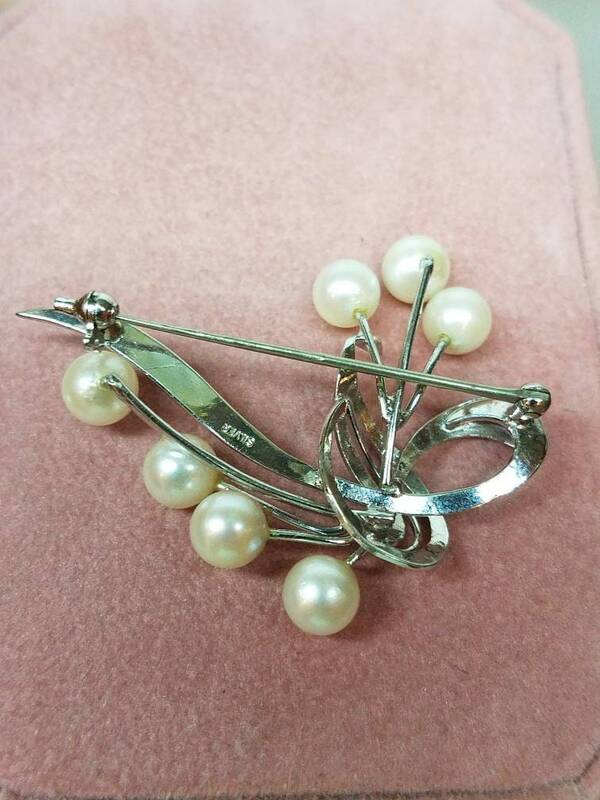 This brooch measures ~2 inches by ~1.5 inches.